If you are looking for a flexible, accurate and affordable fulfillment services, you’ve come to the right place! Broken Arrow has been one of the most reliable fulfillment companies in the industry for over 15 years. Whether you need t-shirt fulfillment or just fulfillment in general, we will be your partner in delivering goods to your customers timely and accurately. Our fulfillment services include anything that isn't hazardous or needs to be refrigerated. You can supply your own items, or you can purchase custom screen-printed or embroidered apparel directly through us for your inventory needs. Save time and money by using us as your exclusive t-shirt printer and fulfillment service provider. Ask us why that can be a huge advantage to your bottom line and to your customers. 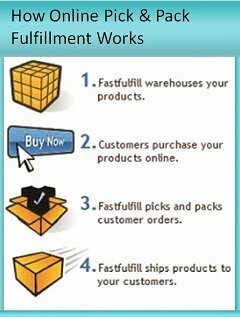 Why us over a large fulfillment company like Amazon? Here's how our fulfillment services work: We provide you an email address that attaches to your back end e-commerce website. Then, when a customer places an order from your website, it sends a copy of that order to us. We then pick, package and ship directly to your customer via USPS, UPS, FedEx or DHL. The process is as automated as possible between your website and our fulfillment center to keep the orders shipping quickly. Orders received by 1pm central time ship out the same business day. We've made our pricing simple so you can easily build it into your costs. We charge $1.60 per order + 40 cents per item in the order + packaging + shipping charges. The packaging charges can vary based on an item's size, shape, and weight. Something as small as a CD may cost 30 cents to package. Larger specialized boxes can cost $2-$4.00 or more. We have a highly trained team of fulfillment specialist that will pick the appropriate package based on the contents of the order to ensure its not only cost efficient but will allow enough packing materials to pad any breakable items. Item storage is additional, and other charges may apply based on your fulfillment needs. 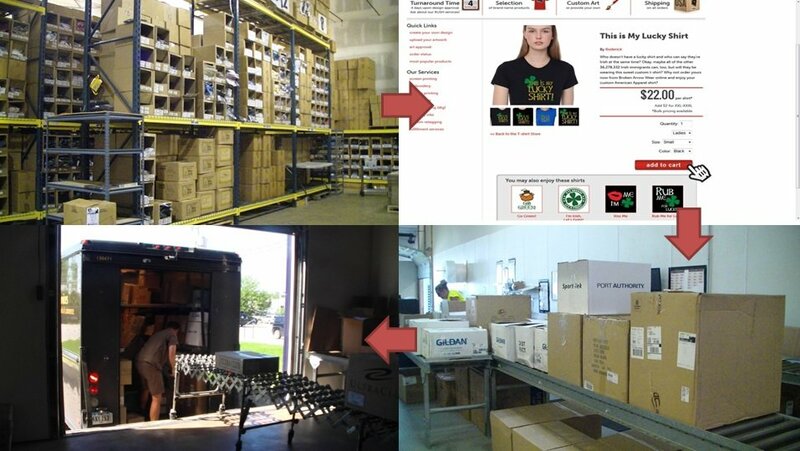 A single order of t-shirt fulfillment would be typically below $5.00 including the shipping and packaging. For the shipping charges, we charge the actual shipping cost plus 5 percent. The most common carrier that is used is USPS, primarily because they are also the least expensive, especially when shipping international. The USPS does provide an option to put tracking on orders, which is really convenient and great for customers. However, it is not uncommon for you to allow your customer to select their preferred method of shipping (such as UPS Next Day Air) and we are equipped to accommodate any requests. Interested in learning more or getting started with order fulfillment services? Contact us today and let Broken Arrow be one of the best fulfillment companies you've ever worked with. What types of products will be stored? How much stock will be stored? Do you have any special packaging needs? Will shipments include single or multiple items? How will the orders be transmitted? Do you need an Online Shopping Cart?